The Huawei Nova is a top-rated mid-range phone. With a premium-design metal body, it has the look of a high-end handset but for half the price. Its top features are its 5-inch high resolution screen, fingerprint scanner, fast 8-core processor, and very long battery life. 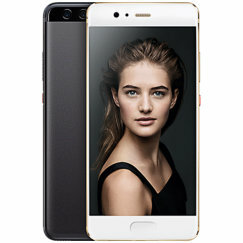 The Huawei P10 is an ultraslim metallic glass phone with dual cameras, a superfast processor, strong battery life and very generous storage from its 64GB of memory. It's impressive, but at launch it's too expensive. Look for the price to fall, and the P10 will be an outstanding, though quirky phone. 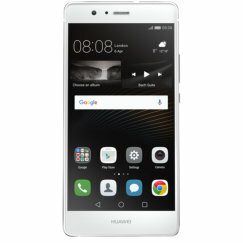 The 2017 edition of the Huawei P8 Lite is one of the best mid-range smartphones. Its stylish superslim design and ultra-bright hi-res display make it a nice phone to handle, and it delivers fast performance from its 8-core processor. Running Android 7, it comes with an excellent camera and large battery too. Think that a smartphone costing around �50 will be useless? Think again! The Huawei Ascend Y360 (Y3) may cost next to nothing, but it can still run a good range of apps. It's surprisingly well built too, with a truly pocket-sized, lightweight design. The P10 Plus is Huawei's best phone ever, and a rival for the iPhone 7+ and Galaxy S8. It's superfast, ultraslim, has a top camera, massive amounts of memory, and good battery life. But the Chinese brand has overreached when it comes to pricing, and misses out on a 5-star review for that reason. Honor 5C review - The Honor 5C is a budget handset from Huawei that gives a lot more than it should for the money. With a fast octa-core processor, Full HD 5.2 inch screen, strong 3,000mAh battery and customisable fingerprint sensor, the Honor 5C puts up a good fight in the under-�200 smartphone sector. Honor 5X review - If your budget is mid-range but your aspirations are premium, then the Honor 5X from Huawei could be a good choice. Avoid the frustrations and compromises normally involved in selecting a mid-range smartphone, with this premium-designed handset. Packed with high-end features like an 8-core Snapdragon processor, Full HD 5.5 inch screen, 3,000mAh battery and customisable fingerprint sensor, the Honor 5X delivers a high-end experience for a lot less than you'd expect. Honor 6 Plus review - The Honor 6 Plus is exclusive to the Three network. It's an Android smartphone with a huge 5.5 inch screen and an elegant superslim design. It's a flagship device with an 8-core processor, dual rear cameras, plenty of memory and a whopping battery. But it's excellent value for money, selling for significantly less than rivals from other manufacturers. 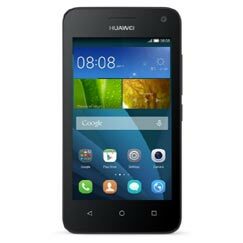 Huawei Ascend G510 review - A bargain Android phone with a big screen and excellent battery life, the Huawei Ascend G510 gives a lot for your money. But it's cumbersome and we don't like everything about it. Huawei Ascend G7 review - The Huawei Ascend G7 is a big-screen smartphone that's priced for value. Featuring an ultraslim metal casing, it looks good too. 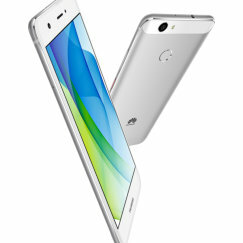 It's top features are its 5.5 inch HD display, outstanding battery life, high-spec cameras and quad-core processor. We rate this very highly if you're after a big screen but lack the budget for a flagship phone. Huawei Ascend P7 review - The Huawei Ascend P7 is a beautifully crafted ultraslim smartphone. There's a lot to like about the P7, but laggy performance lets it down. Huawei Ascend Y330 review - Is this the cheapest smartphone in Britain? The Huawei Ascend Y330 is certainly incredibly cheap, and it's a good basic product for very little money. The phone looks and feels nice, and has a good-sized screen and a dual-core processor too. Battery life isn't too shabby either. Huawei Ascend Y550 review - The Huawei Ascend Y550 is probably the cheapest 4G phone available. For very little money, you get an Android KitKat phone with a quadcore processor, a large screen, and strong battery life. The main compromise is the small amount of storage, but a microSD card slot compensates for this. It's definitely worth a look! Huawei Ascend Y635 review - The Huawei Ascend Y635 is a budget Android phone with a large 5-inch screen, 4G connectivity and good battery life. It's well-built and practical, and is a good option if you're looking for an entry-level smartphone. Just don't expect too much. 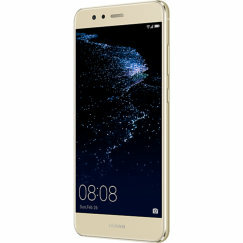 Huawei Mate S review - The Huawei Mate S is an ultra-slim, attractive phone with an aluminium body and a rear-mounted fingerprint sensor. It packs a fast 8-core processor with plenty of memory, an excellent camera and a large AMOLED screen. Battery life isn't so impressive however, and the much-hyped pressure-sensitive touch is noticeable by its absence. Huawei Nexus 6P review - The Huawei Nexus 6P isn't a phone for everyone. It's a phone for those seeking the latest Marshmallow version of Android in its pure form, with incredibly powerful hardware to accompany it. With an awesome screen, ultra-fast processor, solid camera, excellent battery life, and too many bells and whistles to mention in this summary, we give it 9 out of 10. Huawei P8 Lite review - The Huawei P8 Lite is a cheaper version of the P8. It's still an attractive phone, but with a plastic case instead of aluminium. It has a lower specification than the P8, with a 5-inch 294ppi display, a more modest 1.2GHz 8-core processor, and a smaller battery. The camera is good, with a 13 megapixel sensor, and capable of capturing 1080p HD video. Huawei P8 review - The Huawei P8 is a flagship smartphone that costs less than you'd expect. We love its ultrathin metal design, its superb screen, its 8-core processor, top camera performance and decent battery life. Its only fault is the Huawei brand, so unless you're a brand snob, you'll find it to be a superb alternative! Huawei P9 review - The Huawei P9 is the most capable phone you can buy for less than �30 per month right now. With a superslim aluminium body, impressive 5.2 inch Full HD screen, 8-core processor and 3GB of RAM, it's definitely a top performer. Add in a big 3,000mAh battery, USB Type-C connectivity, and dual rear cameras, and you'll find that the P9 really is something quite special. Huawei Y5 review - The Huawei Y5 meets all the requirements of a budget Android smartphone - a good-sized screen, a compact body, front & back cameras, a quad-core processor, and 8GB of expandable memory. Battery life is good for a cheap phone - everything else is as you'd expect for the price. 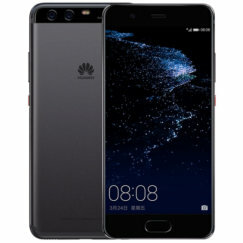 Huawei Y6 II Compact review - The Huawei Y6 II Compact is an entry-level Android phone with smart looks, a 5-inch HD screen, a 1.3GHz quad-core processor, but a relatively small battery. Its best feature is probably its camera. Huawei Y6 review - The �100 Huawei Y6 is a budget Android phone that looks like it costs twice as much. Slim, super-lightweight and stylish, it features a large 5-inch HD screen that's quite possibly the best you can buy for the money. Battery life is good too, but the Snapdragon 210 processor and basic cameras are less impressive.